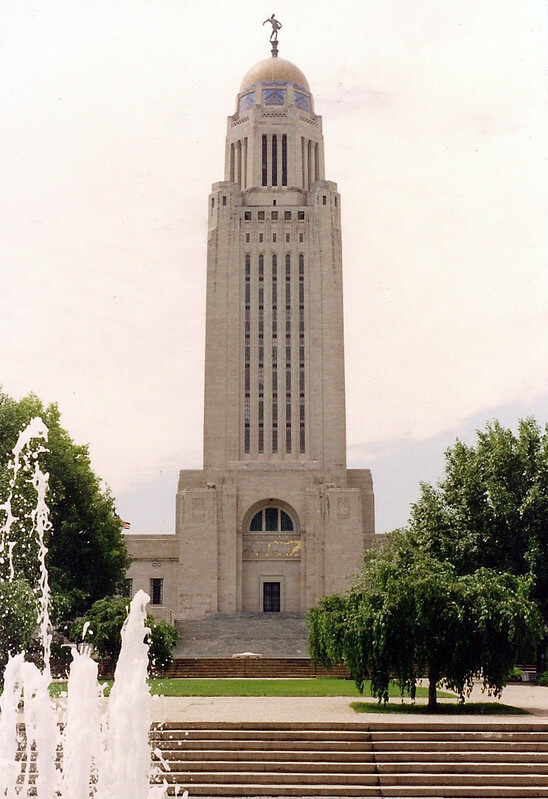 This is the Nebraska State Capitol, arguably one of the most innovative examples of architecture for a statehouse. 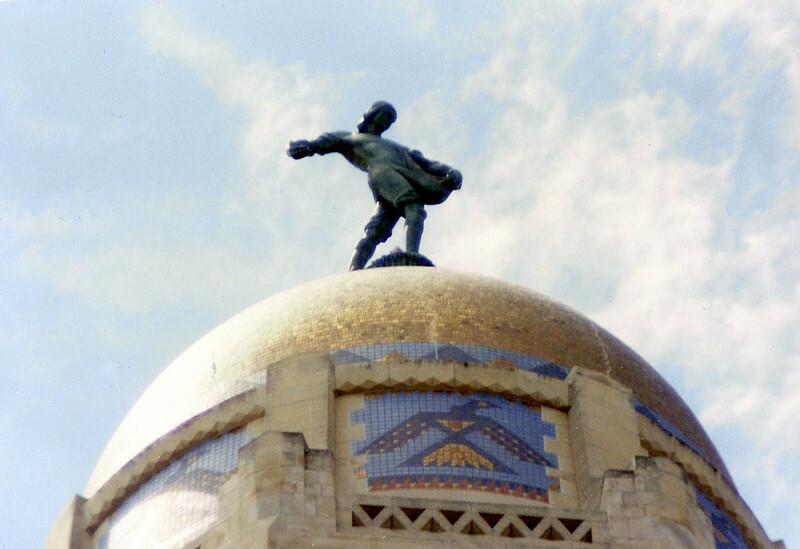 "The Sower" - the statue atop the capitol building recalls Nebraska's agricultural riches. 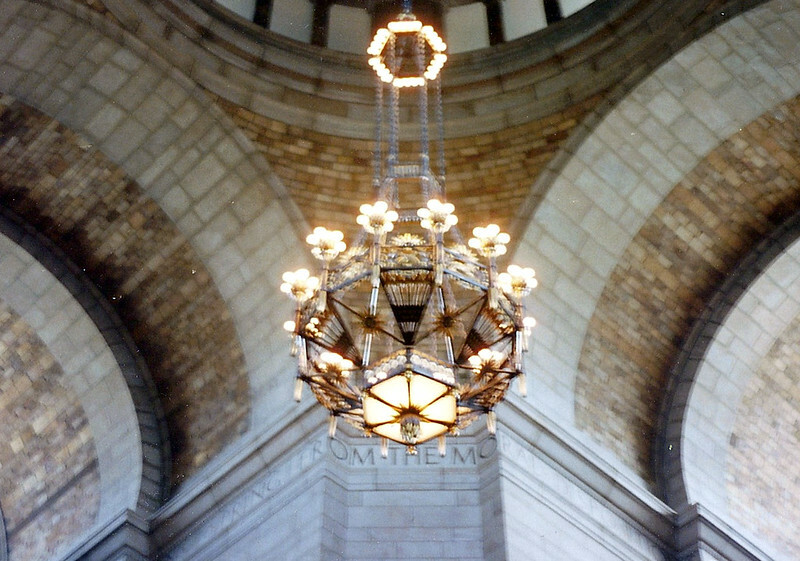 Here is a chandelier that hangs inside the Nebraska state capitol. 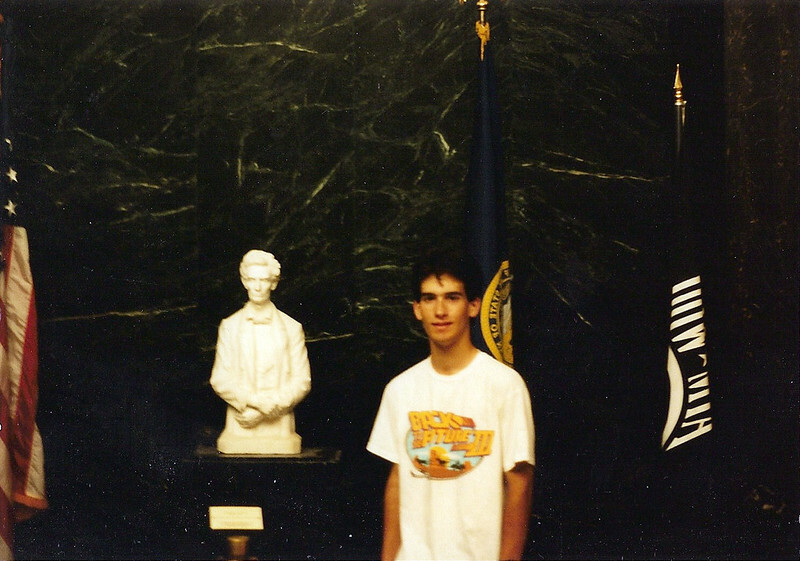 Chris next to a statue of Abraham Lincoln inside of the capitol building. 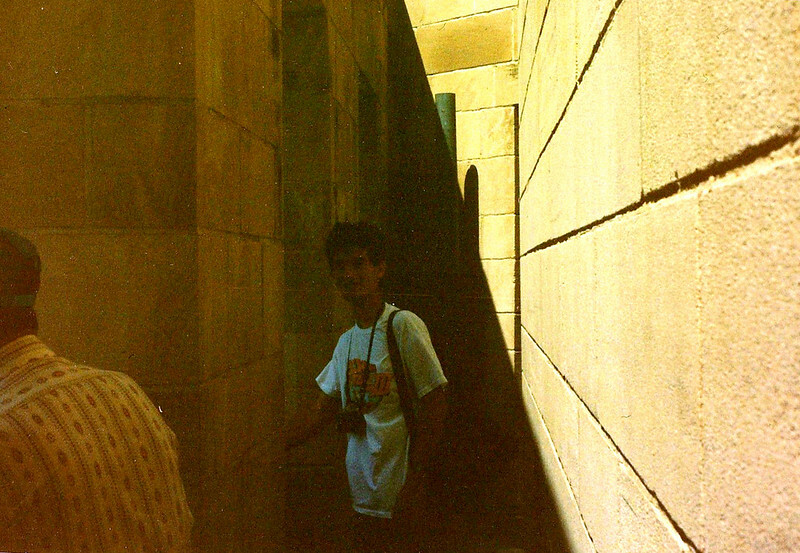 Chris on the observation deck at the top of the capitol building.